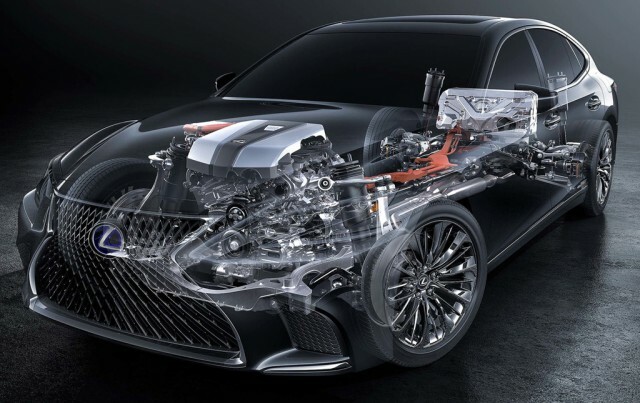 The Lexus LS 500h luxury sedan that debuts this week at the 2017 Geneva Motor Show will use the same "Multi Stage Hybrid System" as the LC 500h coupe. It's a somewhat different—and arguably more complex—setup than the powertrain of the LS 600h, the previous-generation hybrid version of Lexus' flagship sedan. The LS 600h used a 5.0-liter V-8 engine and a version of the Toyota Hybrid Synergy Drive system, along with all-wheel drive. 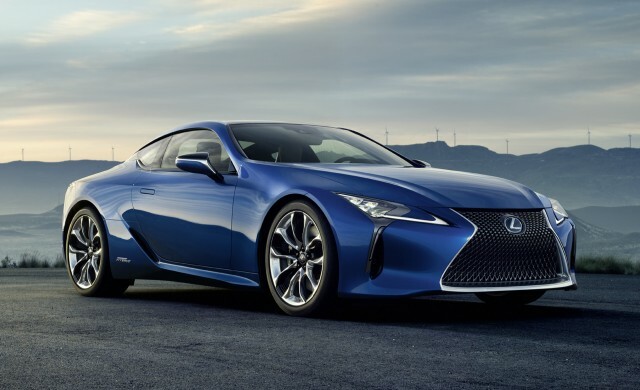 The LS 500h and LC 500h also incorporate the tried-and-true Toyota Hybrid Synergy Drive system, but with smaller gasoline engines, rear-wheel drive, and the addition of a 4-speed automatic transmission. The 3.5-liter V-6 engine now works with an electric motor to send a combined 354 horsepower to the rear wheels of the LC 500h coupe. Power output for the LS 500h sedan has not been confirmed, but it should be similar or identical to that of the LC 500h. The powertrain allows for short periods of electric-only operation at speeds up to 87 mph, according to Lexus. While most Toyota and Lexus hybrids get by with a pair of electric motor-generator units in place of a conventional transmission, the LC 500h and LS 500h also use a 4-speed automatic in concert with this system. The geared automatic transmission was added to affect a more sportier and more engaging driving experience, and to simulate the behavior of the 10-speed automatic used in non-hybrid versions of both cars. Those versions are the LC 500, which uses a 5.0-liter V-8, and the LS 500, which uses a 3.5-liter twin-turbocharged V-6. Approximately one year spans the debuts of the two Lexus flagship hybrids. The LS 500h debuts at the 2017 Geneva Motor Show this week, while the LC 500h debuted at last year's Geneva show. Previous reports have also suggested that Lexus was considering a hydrogen fuel-cell vehicle that may be based on the LS, for launch sometime around 2020. Little has been heard of that project lately, though it's conceivable Lexus parent Toyota may slowly be warming up to plug-in hybrids and battery-electric cars. Toyota was previously one of the most vocal advocates for fuel-cell cars, and has sold about 3,000 Mirai fuel-cell sedans to date, but now also plans to build a battery-electric car of its own. 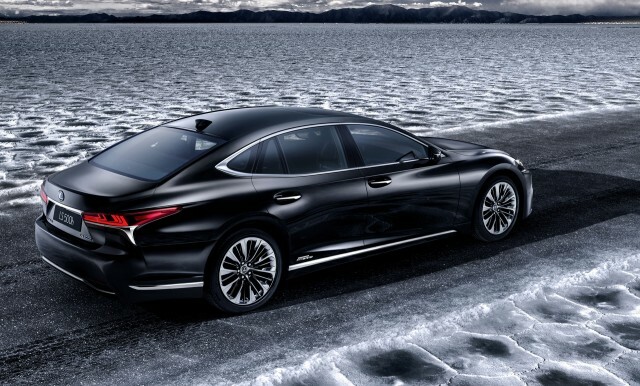 For more details on the LS 500h and other green cars debuting this week, head over to our Geneva Motor Show news page.